"This collection did not disappoint! The stories get you immediately interested, and the author gets you good when you least expect it!... 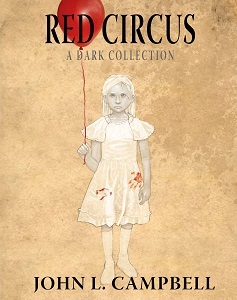 If you are a horror fan you will LOVE this book!" "A highly entertaining read with a style that grabbed me from the very first page." "His characters are so real and so likeable you will jump up and cheer for them." "An impressively convincing vision of a world suddenly gone insane." "Readers who enjoyed The Strain Trilogy by Guillermo Del Toro and Chuck Hogan will find plenty to satisfy them here." "Campbell has a unique way of making you fall in love with characters. Guaranteed to make your heart race." "Brutal and Fascinating. 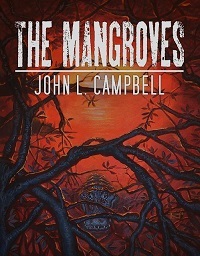 Mr. Campbell's writing is at the level to which any author should aspire. He rocks!" "I haven't had this much fun reading short stories since Stephen King." 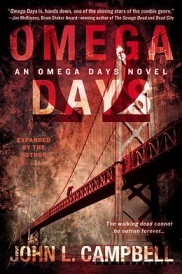 "Omega Days breaks the mold...lots of thought-provoking scares." "Heart-stopping action...heart-rending sadness...the end of civilization...Campbell gives us a front row seat." 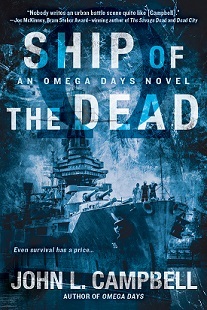 "This novel is a force to be reckoned with, and much like George A. Romero, I bet John L. Campbell will soon be a name that is consistently synonymous with the term zombie." "Campbell pits humane impulses against the dictates of leadership in a struggle between mercy and justice tempered by the threat of annihilation." "Mankind may just be the worst monsters out there... the darker side of reality." "John L. Campbell has done it again! [His] writing style keeps you on edge... packed with drama, horror and even the point of view of the dead." 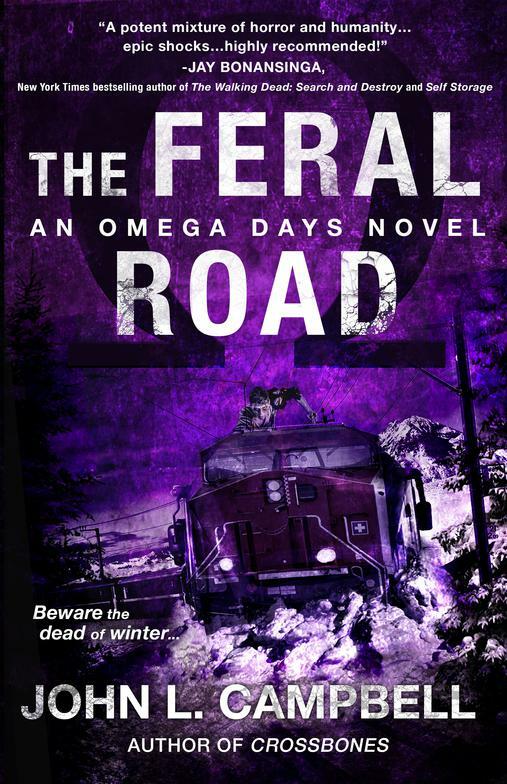 "This isn't your average zombie apocalypse survival book; it's absolutely horrifying!" "The action is nonstop and brutal...the sense of terror and isolation is very real...get ready to stay up late turning pages. 9 out of 10." "Nonstop action mixed with great character development. Make sure to block out some time when you start these books; you won't want to stop reading. 9 out of 10. " 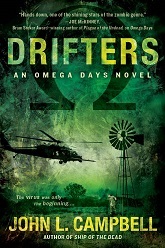 "Plenty of action, chases, running gun battles... some quiet moments too. There's no telling who is going to survive and who will not." "In keeping with the tone and tension of the series, Campbell holds no punches when it comes to disturbing action, and piles on the grit in a most wonderful way." "The fighting is fierce, the zombies are relentless, and the bad humans are BAD HUMANS! The tension is so great that it's hard to disengage from the story." "The prose is excellent, heartrending when it needs to be and heart-pounding at the climax." "Campbell does an outstanding job with a classic tale of the walking dead and the inhumane ways of humans." 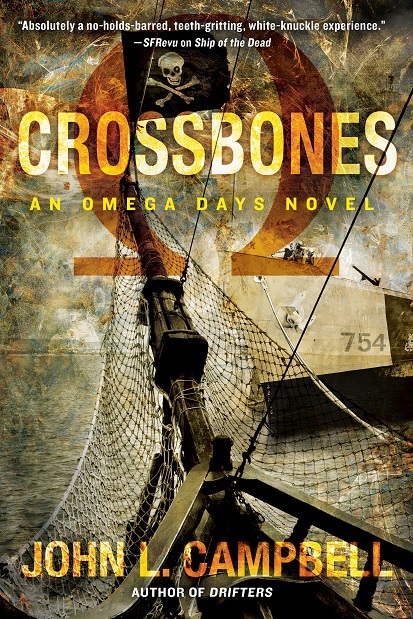 ​"A wonderfully terrifying cross between The Walking Dead and Pirates of the Caribbean...Crossbones is bound to thrill horror fans." "Will make you cringe and react to the well-crafted plot that builds thrill upon thrill. A good read from a talented writer." 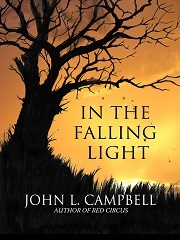 "Campbell is a master at telling a horrifying zombie story. He continues to impress with his ability to tell a realistic, down and dirty fight." "A potent mixture of horror and humanity, Campbell's latest in this harrowing epic shocks and breaks hearts in equal measures. Required reading for both lovers of deep scares and deep emotions. Highly recommended!" "Hands down, quite simply the very best Zombie Apocalypse series - ever!" "Definitely a Must Read Book in a series you wont want to put down." "C'mon Hollywood, look to this terrific author's work to create the biggest, baddest-assed zombie movie or TV series that ever was."